Faculty of Commerce,B.Com.(Hons.) participated in Sahitya Sarita - 2019 an event related to literature, street play, photography etc. organised byL.D. 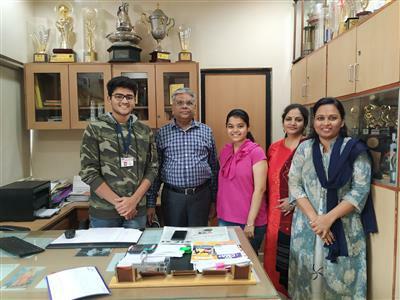 EngineeringCollege on 24th February 2019. The institute secured the 1st runner up position in the Street Play Competition wherein 16 students participated. 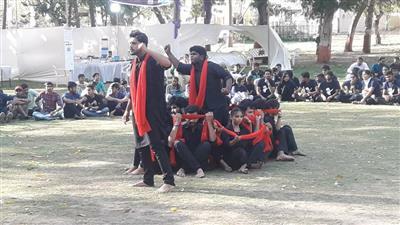 The street play was written and directed by Palkesh Agrawal, an SMPIC Alumnus. Faculty of Commerce B.Com.(Hons.) participated in Synapse 2019 organised by DAIICT, Gandhinagar on 23rd February 2019. The institute participated in the Street Play Competition and Monoacting Competition. 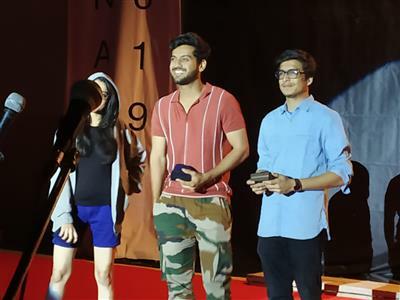 Parikshit Tamaliya was declared winner in the Monoacting Competition. 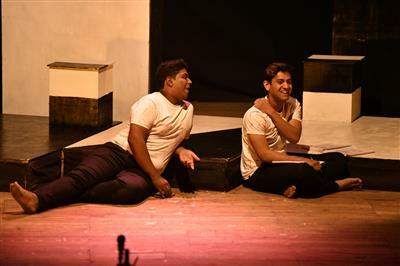 The street play and Monoacting were written and directed by Palkesh Agrawal, an SMPIC Alumnus. Faculty of Commerce B.Com(Hons.) participated in ‘Be a Banker’ organized by Thakur College ,Kandivali at Mumbai on 15th and 16th February,2019.The event was National level Financial Management Festival comprises of competitions like Insurance Bazaar, Elocution and Debate, Post it on Poster etc. Hemang Prajapati won 2nd best prize in Elocution competition. On the basis of overall performance, Contingent leader Chirag Agrawal was awarded Best C.L Trophy. The event was coordinated by Dr.Krupa Bhatt. Faculty of Commerce B.Com.(Hons. 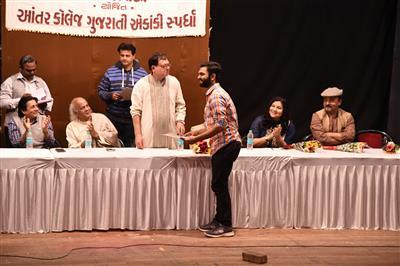 ),performed the play “Priya Mitr” in the prestigious INT and Gujarat Samachar Drama Competition on 18th January, 2019, based on a Marathi play translated by Mr. Abhishek Shah and directed by Mr. DhrunadKamble. Among the 21 plays performed in the semi-finals, “Priya Mitr” was selected amongst the six finalists. 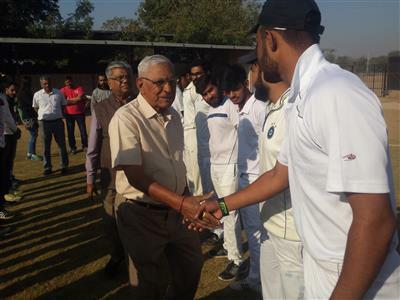 The finale was held on 30th and 31stJanuary, 2018 at Thakorebhai Desai Hall. 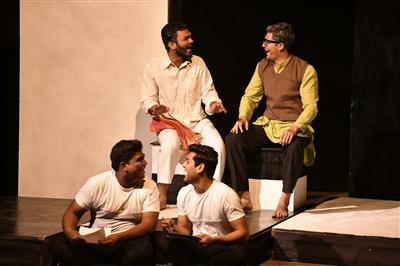 JeetPatel of semester 4 was adjudged the 2nd Best Actor in male category.The play talks about friendship of Gopal and Madhav, belonging to different castes, that survives the turmoil of caste and creed.The performance was co-ordinated by Dr. Sneha Master and Dr. Gitanjali Rampal. Parth Varke from Faculty of Commerce (B.com. 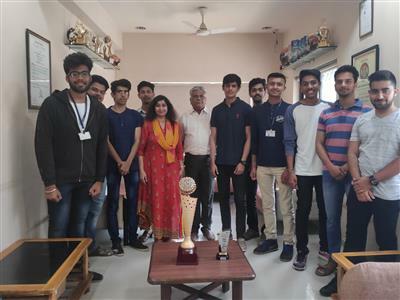 Hons) Sem-2 secured 3rd position in Inter College Public Speaking Competition organised by R.J. Tibrewal Commerce College in association with Rotary Club of Ahmedabad-Greater on 30th January, 2019 at L.J. Engineering Auditorium, Ahmedabad. He received Trophy and cash prize. Faculty of Commerce(B.Com. Hons.) participated in Sardar Vallabhbhai Patel Vijaypadma Debate competition held by Gujarat Prantiy Rashtrabhasha Prachar Samiti and M. B. Patel Rashrabhasha College, Ahmedabad on 20th January, 2019. Heena Navani from M.Com. Part I and Nikita Krishnani from F.Y. B.Com secured the 1st position and won the trophy. Heena Navani bagged the first and Nikita Krishnani got the second best individual prize along with the books and certificates. The topic for the competition was “Kya online pathyakram achche he ya bure”. Faculty of Commerce(B.Com. Hons.) participated in Ambaprasad Shukla Vijaypadma Debate Competition(Hindi) held by C.U. 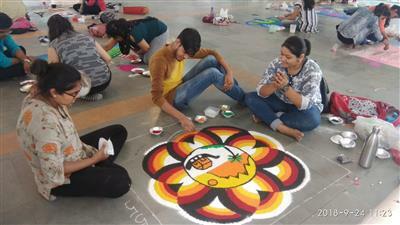 Shah Arts College, Ahmedabad on 12th January, 2019 at C.U. Shah Arts College. Heena Navani from M.Com. 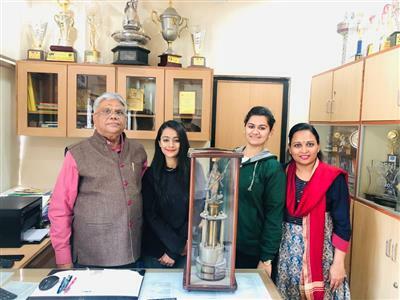 Part I and Nikita Krishnani from Semester 2 secured the 1st position and won Vijaypadma Shield. 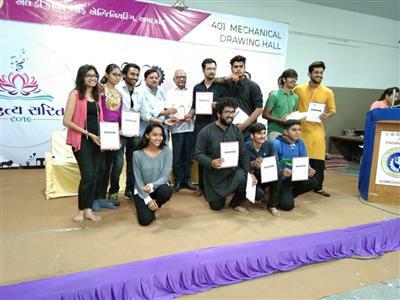 Heena Navani also bagged the second best individual cash prize and both the participants received the certificates. The topic for the competition was “Akhand Bharat Sardar Patel ki den he”. Faculty of Commerce B.Com (Hons.) 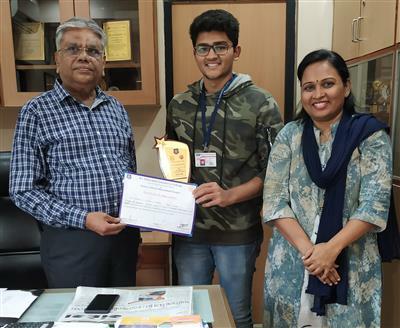 participated in State level Commerce Idol competition organized by City C.U.Shah College Ahmedabad on 7th January 2019.Sourav Jain from semester 6 secured 3rd position out of 64 students from 28 colleges. There were three rounds. The first was an objective test followed by Group Discussion and Interview. Sourav Jain was awarded with certificate and trophy. Faculty of Commerce(B.Com. Hons.) 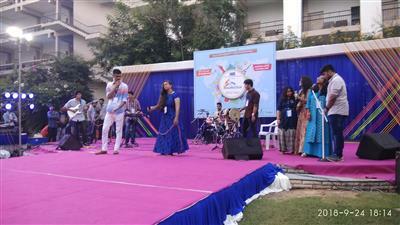 participated in different competitions at Kaleidoscope XII organized by J G College of Commerce College. Priyanshi Shah from Sem -2 bagged 3rd prize in Apratim: Bridal Mehndi Competition organized on 4th January, 2019. Parth Varke from Sem-2 won the consolation prize in Gaatha: A Multilingual Poetry Recitation Competition organized on 9th January, 2019. Faculty of Commerce B.Com (Hons.) Sem3 student, Maana Patel won 3 gold medals in 50, 100, 200 m back stroke with new national record in 100 m back stroke with time of 1.04.33, she broke her own record of 1.04.83 at 72 Glenmark Senior Aquatic championship held at Trivandrum from 19 September to 23 September. 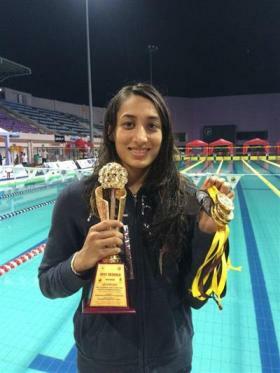 Currently she is the fastest back stroke swimmer in India. Sem 1 student Diksha Dwivedi was selected for 79th All India University Nationals, Manglore in Javelin Throw. She won silver medal in 30th West Zone Junior Athletics Championship organized in Raipur. 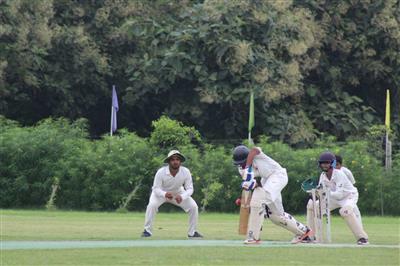 Sem 1 students Smit Patel and Rahul Patel got selected in Cooch Behar Trophy Under 19 Gujarat Cricket Team. Sem-3 student Dhruvil Keswani represented India for speed skating at 18th Asian Roller Skating Championship held at South Korea between 4 -14th September 2018. He stood 3rd at one of the races (Relay 3000 Meters) and won bronze medal for India. There were 5 countries participating in this race, which were Japan, South Korea, Chinese Taipei, Iran & India. Students of Faculty of Commerce (B.com Hons.) 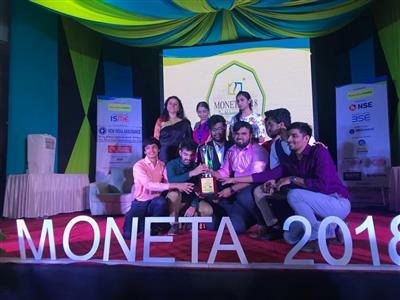 participated in India’s largest Financial Management Festival MONETA 2018 organized by R.A Podar College of Commerce, at Mumbai from 12th December 2018 to 15th December 2018. 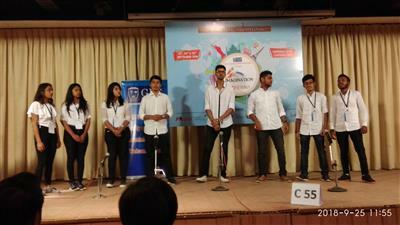 36 colleges across India participated in the competition. Faculty of Commerce bagged 2ndrunner up position in overall performances. The institute is awarded with Rs.10,000/- cash prize and certificates. The event was coordinated by Dr.Krupa Bhatt and assisted by Prof. Anjali Trivedi. 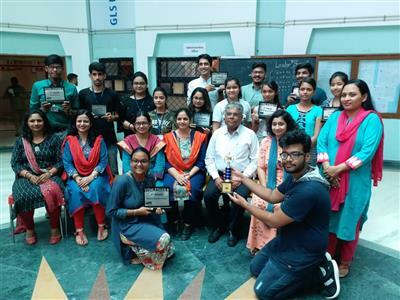 This year once again Faculty of Commerce B.Com (Honours) reached the pinnacle of folk dance competitions in three various events namely at Sports Club, Gulmohar Greens Club and Gymkhana Club. FOC B.Com (Honours) always comes up with something remarkable on the stage and this year was no difference. 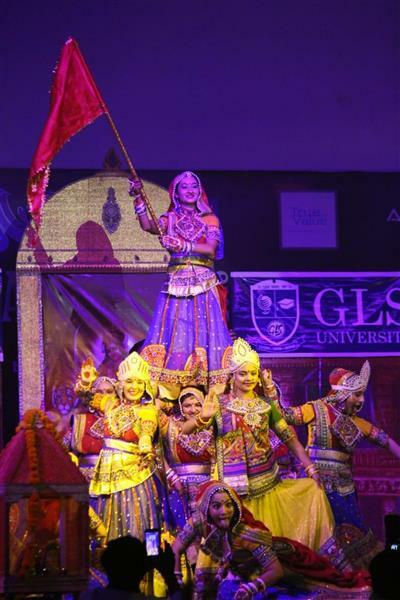 The theme of the performance was “Khushboo Gujarat na Garbani” which represented various styles of garbas of Gujarat staged together in a wonderfully choreographed spectacle. 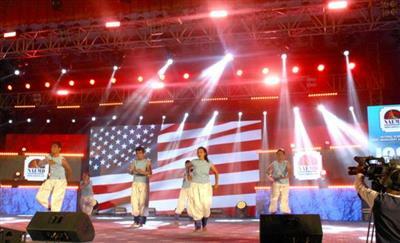 Various performing arts and educational institutions of the state participated in the competitions. FOC B.Com(Honours) bagged 1st position in the categories of Best Performance and Best Costume (Khushboo Gujarat na Garbani) and 3rd position (Nagaru folk) at Sports Club on 7th October, 2018. The institute also secured 2nd position in the categories of Best Performance at Gulmohar Greens Club on 8th October, 2018. It also won 1st position in the categories of Best Performance at Gymkhana Club on 12th October, 2018. The shows comprised of the elite audience of the city. 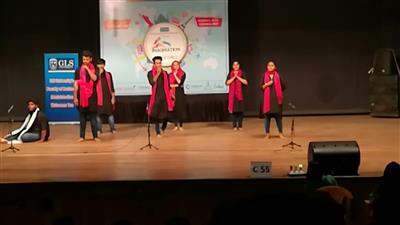 The performance of B.Com (Honours) was purist’s delight which showcased every form of typical authentic Garba from centuries in the sheris of Gujarat which was applauded by the audience. 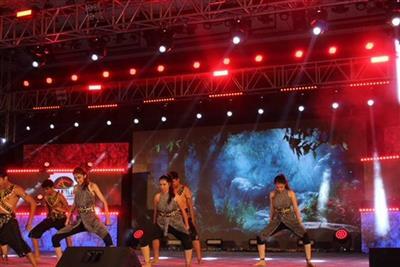 The entire act was choreographed by Dr.Kruti Paritosh, Kuldeep Shukla and Khushboo Shukla and the team comprised of Shriya Patel, Hinal Shah, Bhumi Patel, MeghaNihlani, Tanvi Trivedi, Kathanki Raval, Krishna Shah, Unnati Pandya, Prapti Thakkar, Maitry Trivedi, Dhruvi Shah, Dhrumi Shah, Preet Mehta, Priyanshi Saraniya, Akshita Patel, Priyanshi Shah, Drasti Bhatt, Shanaya Shah, Jaimil Joshi, Neel Thakkar, Naman Shah, Poonam Thakkar, Arya Patel, Sachin Gaud and Nili Shah. 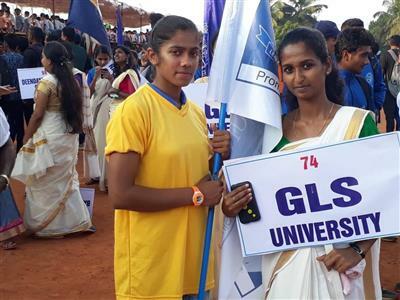 The Youth Festival of GLS University was organised from 23rd to 25th September 2018, under the title, IMAGINATION 2018. The students of Faculty of Commerce (B.Com. Honours) enthusiastically participated and won many prizes. The intense practice sessions with a lot of hard work and dedication for over 15 to 20 days paid off nicely with several prizes in the end. The details of the prizes won by the institute are as under. Faculty of Commerce participated in JOSH 2018, a national level Inter collegiate competition organized by NAEMD held on 18th September 2018 at GMDC hall. Nidhi Solanki, student of SEM-5 won Mr and Miss Academia (MMA) personality contest and she also won student choice award. SEM-1 Student Dhruti Shah won Miss 10 title. 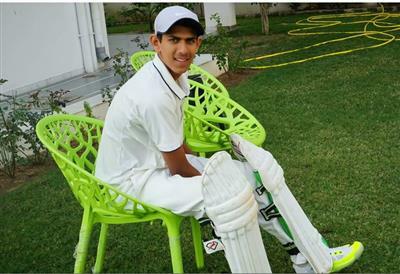 Niddhi Solanki will be going to Mumbai for Competing at National level. In Fashion show, college bagged 2nd runner up prize, In Western Dance 1st Runner up and in Bollywood dance 1st prize. Our Institute won Over all Best College of the year 1st runner up and bagged prize worth Rs.31,000. Around 60 students participated which includes group of dancers, models, designers, volunteers and fine art students.